Exploring our home-base of Reykjavik was our initial plan. We’d booked a walking tour my wife had found on the Internet. My job was to find our way to the meeting spot using the printed map. It involved going down three streets so I only went the wrong way twice. The tour was brilliant; not an official tour or one heavy on the historical detail but rather a guide by someone who lived in Reykjavik. There was a great mix of local knowledge, a little bit of history and showcase of some of the best (but less well-known) places to eat in town. Started at the great Lutheran church. 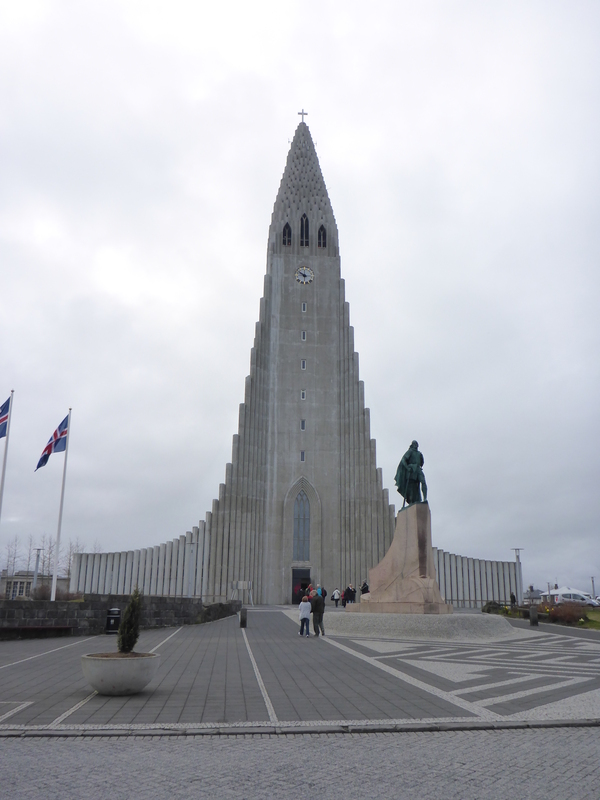 Outside was a statue of the Icelandic / Norwegian discoverer of America (nationality varies depending on audience). 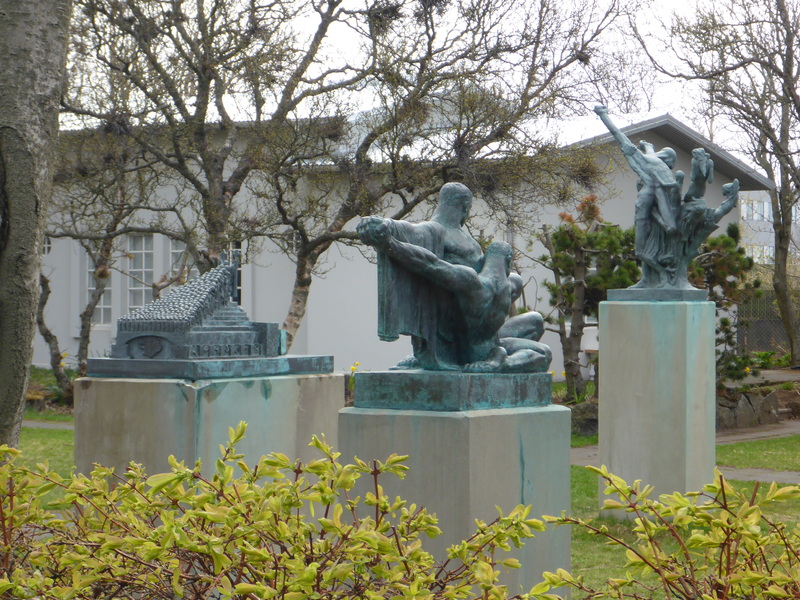 Saw a ‘secret’ garden of statues by one of the main artists / designers of Reykjavik. Heard about how a local man wanted to compete in a cycling tournament in the UK and raised money by turning his kitchen into a coffee shop. It became a hot-spot and while rampantly illegal no-one did anything as he wasn’t hurting anyone; in fact plenty of the local dignitaries and police posted pictures of themselves there. Local people and businesses helped him out by loaning coffee / crockery / equipment and the shop became so popular that the owner (a student) occasionally re-opens it for business even after he raised enough to get to the UK. 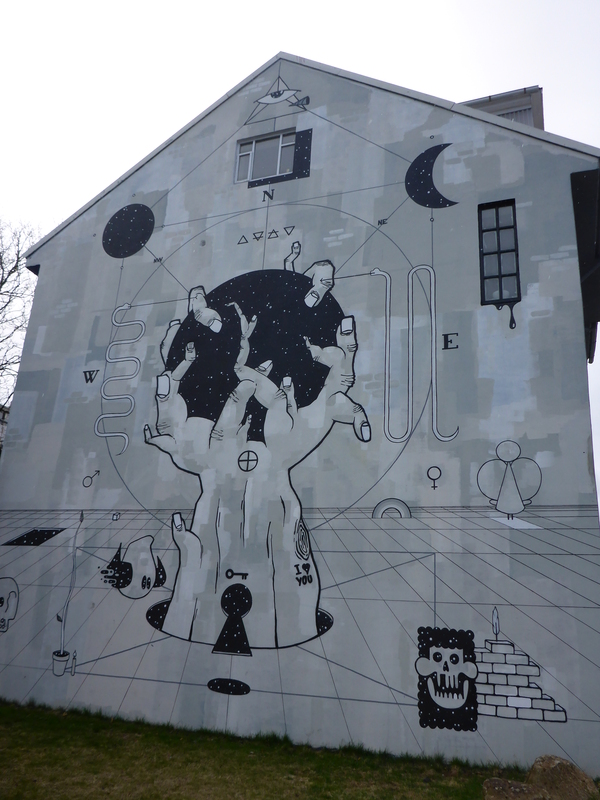 There are lots of beautiful murals dotted on the buildings around Reykjavik. Apparently this is to try and deter the graffiti-artists as drawing over someone else’s art is a no-no. Ironically having almost all of their heat and power from geothermal sources has made Icelanders a bit slow in adopting other green initiatives (“We’re doing enough”). Though this is starting to change. We saw the building where the Icelandic government meets and after a long description about how generally laid-back the security is (no guards, one small camera) we saw the Icelandic Prime Minister turn up and walk to the door (no entourage and apparently no key either as he had to wait at the door for a few minutes!). At the end of the tour our guide pointed out a stand where they sell “the best hot-dogs in the world”. Apparently these were a stop-off for Bill Clinton to get one while his wife was busy with the whole “helped to run the free world” thing though he let the side down by asking to hold everything except the mustard; you can now ask for a ‘Clinton’ and get the same 🙂 (We tried the hot-dogs after the tour and we unanimously agreed with the verdict). After the tour we swung back to the church to have a look at the city from the church tower and to poke around inside. 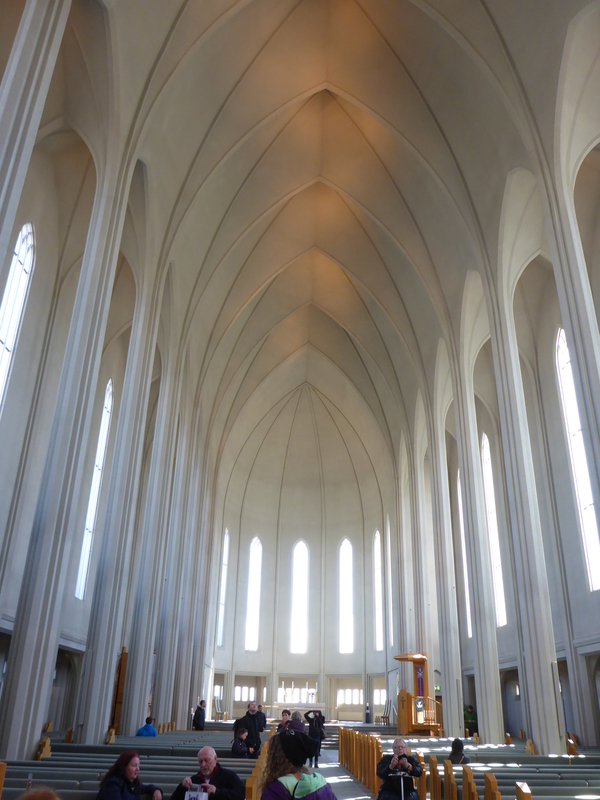 The Lutheran style was starkly beautiful. To finish off the day we went to The Noodle Station; a noodle bar recommended by the guide. We had a choice of two (vege, or chicken) and a further choice of “spicy, or not” but the food was brilliant.